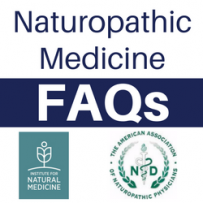 Why Do Naturopathic Doctors Spend Between One and Two Hours with Patients in an Appointment? The AANP and the INM would like to acknowledge Amy Rothenberg, ND, for her contributions to the content of this FAQ. You may have noticed that it takes longer than ever to schedule a first appointment with a new health care provider. You’ve also likely spent more time in the waiting room than face-to-face with your physician. In the United States, consultation time in a conventional doctor’s appointment averages about 20 minutes. In contrast, naturopathic doctors (NDs) spend between one and two hours face-to-face with patients in an initial appointment, and 30 to 60 minutes in subsequent appointments. There are many factors that affect your health. Naturopathic doctors, who are trained to treat the whole person, take the time to explore as many of them as possible. Intakes are guided by the Therapeutic Order, a set of guidelines naturopathic doctors use in clinical decision making to help uncover and evaluate multiple causes of health concerns including diet, lifestyle, family genetics, psycho-emotional, spiritual, socioeconomic, and environmental issues, and more. This framework, which also guides naturopathic doctors in clinical decision making, prioritizes minimally invasive therapies. These therapies are aimed at supporting the body’s health restoring and maintenance processes, as opposed to just reducing symptoms. The extra time naturopathic doctors spend with you is often focused on identifying the underlying cause(s) of your health concerns and empowering you to engage actively in restoring and managing your own health. Research shows that whole-person care often leads to high patient satisfaction and improved outcomes. Sometimes aches and pains, stomach discomfort, trouble sleeping and numerous other symptoms are indicators of an underlying illness. While these symptoms can be managed, it’s more important to understand and treat the root cause, which is the focus of naturopathic medicine. Naturopathic doctors will explore the genetic, environmental, and behavioral/lifestyle factors that may impact your health. They’ll also take the time to understand your health goals. Take your health history and ask you many questions about your main health concerns. Your doctor may explore how you experience each problem, including timing, intensity, and impact on your life. Perform a methodical review of your bodily systems—from your respiratory system to your digestive, musculoskeletal, skin and other key systems—which may be connected to your chief complaint(s) or which may reveal other important areas that require attention. Ask you what you have tried/implemented to address your concerns, and what the effects have been. This includes a review of prescription drugs and supplements you may be taking. Ask you detailed questions about your diet and physical activity. Sometimes, your ND may ask you to keep and bring in a diet and activity log. Discuss your lifestyle, social setting, and support systems. Your ND will want to understand both your main stressors and your coping strategies. Your home and work environments and primary relationships with friends and family will be important considerations for your personalized health plan. Actively listen as you share your story, build rapport and trust, and establish a connection with you to foster a positive doctor-patient relationship. Perform a relevant physical examination, as needed. Order appropriate diagnostic tests, and explain testing that can help determine what is going on inside your body. Tests may include diagnostic imaging, blood, saliva, urinary, and/or stool analyses. Based on findings, your naturopathic doctor will work with you to develop a customized treatment plan and health management strategy. If necessary, your ND will refer you to and/or work collaboratively with other health care practitioners. Empowering people to become more informed about their health options, more involved in decision making about their health, and more capable of maintaining the best health possible, can lead to better health outcomes and lower costs. Naturopathic doctors are trained to empower patients to make lifestyle changes in order to achieve optimal health. They spend extra time with you in both initial and follow-up appointments in order to educate and guide you through these changes, so that you are encouraged and supported to maintain the positive modifications you have made. This attention to patient-centered care is especially valuable when it comes to the prevention and treatment of chronic illnesses such as heart disease, hypertension, and diabetes. Among U.S. adults, 90 percent of Type 2 diabetes, 80 percent of cardiovascular disease, 70 percent of stroke, and 70 percent of colon cancer are potentially preventable by modifiable lifestyle changes. Such approaches take time, require patients to actively participate in their own care, and are a focal point of naturopathic medicine. Health Policy Brief: Patient engagement. Health Affairs. February 14, 2013. Accessed October 17, 2017. ← How do Naturopathic Doctors Help Prevent and Treat Cervical Dysplasia and Human Papillomavirus (HPV)?